Visitors who&apos;ve been to the Hershey Harrisburg Region know they can&apos;t fit it all our incredible activities and eats into one trip! Plus, we’re adding new stuff all the time! Work one or two of these new attractions into your next getaway. 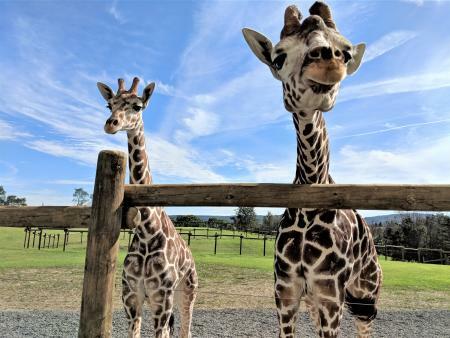 Lake Tobias Wildlife Park in Halifax welcomes two reticulated giraffes – Spike and Bakari! The pair have over 3 acres of land and pasture to play, and park visitors can get up close and personal from an elevated feeding platform. Unlike some of the park’s hungry inhabitants, a giraffe’s diet is strict, so there may be times when they won’t be taking food from guests. Nevertheless, giraffes are the tallest land animal on earth and catching a glimpse of them up close is a unique experience you’ll treasure! Lake Tobias opens for the 2019 season in May! If you visited Hershey last summer, you probably saw lots of construction along Chocolate Avenue downtown. Well, this year you can see what they’ve built! Hershey Towne Square is a new retail mail with delicious restaurants, shops, and services for residents and guests alike. Iron Hill Brewery & Restaurant is one of the Square’s flagship locations, known around Pennsylvania, Delaware, and beyond for their balanced craft beers and delicious food from their scratch kitchen. Or is it craft kitchen and scratch beers? The brewmasters at Iron Hill in Hershey make the beer just a few feet from the bar. Try their Pig Iron® Porter with a roasted malt flavor and chocolate notes, perfect for Hershey The Sweetest Place On Earth®, or one of their complex yet refreshing Belgian-style wheat beers. 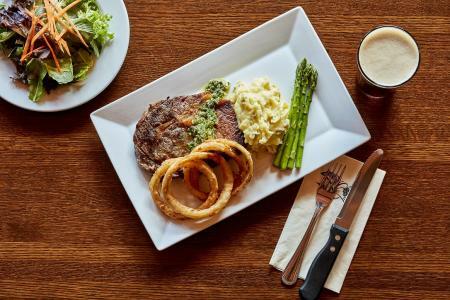 Their upscale, made-fresh-daily food compliments the beer, and the chefs often create beer-inspired sauces, marinades, batters, and dressings to make the flavors pop. Their menu includes steaks, seafood entrees, burgers, sandwiches, salads, and soups, and Iron Hill also has one of the area’s largest kids’ menus with more than a dozen main options plus hot and cold sides to satisfy the pickiest eaters! We recommend making dinner reservations on the weekends because there are a lot of people clamoring to get a table and try something new! Another one of Hershey Towne Square’s new shops is the Beef Jerky Outlet or BJO for short. Their vast jerky selection includes more than 100 varieties like BBQ, Sweet & Savory, Pepper & Spice, and some made with wild game like venison and buffalo. You can also find beef snack sticks, summer sausage, sauces, rubs, and flavored popcorn and peanuts you’ve probably never tried like caramel apple crunch popcorn and strawberry cheesecake peanuts! Are you ready to join the mission? 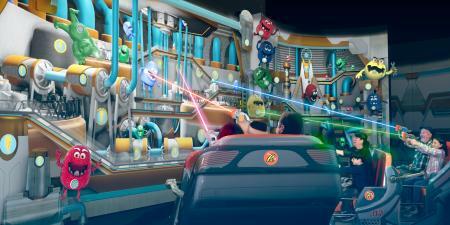 Hersheypark’s latest attraction, Reese’s Cupfusion, is an all-new interactive gaming ride, opening summer 2019. Combining two things we all love – chocolate and peanut butter – Reese’s Cupfusion is a full-sensory dark ride adventure with multiple ways to play and earn points as a Reese’s Agent Trainee! Under the guidance of Commander Cup, your mission is to ensure the world always has a steady supply of Reese’s Peanut Butter Cups. You and the family will be equipped with state-of-the-art gear to protect Reese’s Central factory from a few conniving candies, lead by Mint the Merciless. The Hershey Story, The Museum on Chocolate Avenue invites you to see Mr. Hershey in a whole new way. 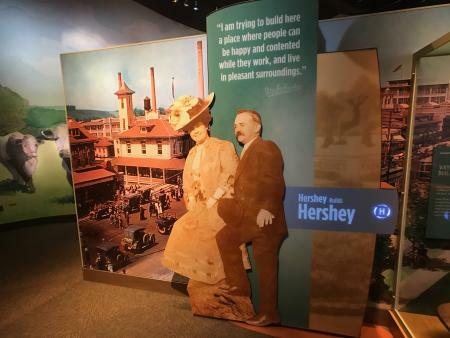 You can personalize your museum experience with five new, interactive kiosks that bring Mr. Hershey to life in a fresh and clever way using technology, animation, and a little bit of humor! Guests use a wooden coin to activate the displays throughout the museum. There are more than 30 new stories to hear that reveal his intriguing personality: frugal, yet generous; a risk-taker, but practical. You&apos;ll also learn a little more about his wife, Catherine "Kitty" Hershey. At the finale of this new experience, you can hear the only existing recording of Mr. Hershey’s voice taken from a 1936 radio interview. There’s something sweet in Hummelstown – artisan candy shop Chocolates by Tina Marie! Their confections include over 30 homemade chocolate specialties like peanut butter melt-aways, salted caramels, and retro candies, plus chocolate-covered nuts, fruits, and gummies. Stop by for a free sample. 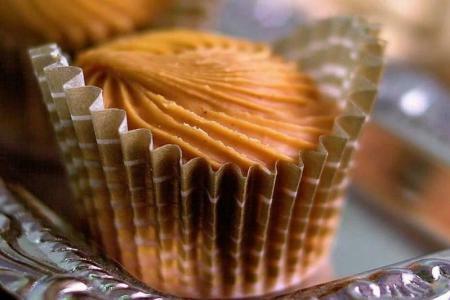 After you take the first bite, you’ll say, “Oh, wow!” and leave with a couple of boxes of these irresistible souvenirs. A new tasting room in downtown Harrisburg, Hops, Vines & Spirits features a rotating selection of Pennsylvania-made craft beer, wine, and spirits, all under one roof. Each month they highlight two breweries, two wineries, and a distillery with sampling flights, cocktails, and special events where visitors can meet the brewers. In between your sipping, try one of their locally sourced charcuterie boards or unique munchies like a tater tot flight or bacon on a stick! The featured wines, beers, and spirits are available for purchase in the bottle shop along with other local goodies like popcorn and nuts. When you knead to get your pizza fix, there’s one place in Harrisburg that locals and visitors rave about - Knead HBG. Known as the “pizza people” in Harrisburg, Knead serves handcrafted, hearth-fired Neo-Neapolitan pizzas perfect for 1-2 people. For a unique flavor, try the Honey Badger, topped with spicy soppressata and hot honey. 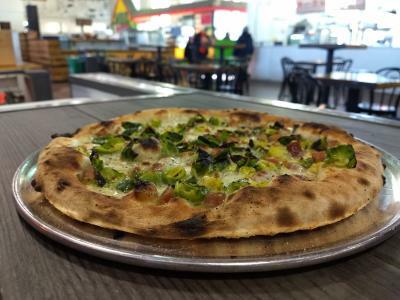 You might have tried their pizza before from their stand at Broad Street Market, but there’re two new ways to take a bite – Knead Bar Pies at Zeroday Brewing Company featuring a thin and crispy crust, and the soon-to-open Knead Slice Shop on North 3rd Street. 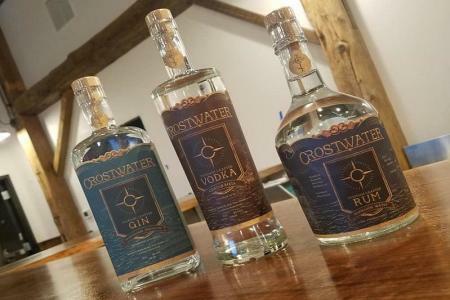 Another sweet addition to our budding distillery scene, Crostwater Distilled Spirits features Pennsylvania-crafted rum, spiced rum, vodka, gin, and white rye whiskey. Start with a $10 tasting flight that includes three 1 oz. pours of your choice. The owners have Russian roots, so their craft vodka is second to none. They also infuse their vodka and gin with fruits and herbs, and these unique concoctions make excellent cocktails by the glass or as one of your flight samples. 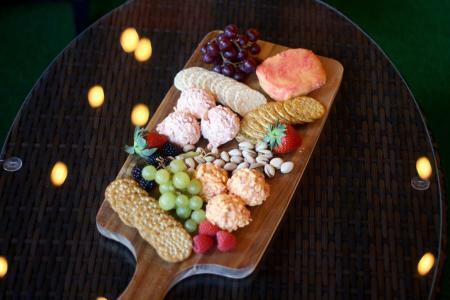 The Crostwater Tasting Room has a complementary craft kitchen menu highlighting our region’s flavor with selections sourced from local farms and suppliers. Sports betting has arrived in the Hershey Harrisburg Region with the opening of The Sportsbook. Here you can place a wager on basketball, football, hockey, soccer, baseball, golf, tennis, auto racing, rugby, cycling, boxing, MMA, and even cricket. Hollywood Casino at Penn National Race Course was the first casino in Pennsylvania to launch sports betting, and within the first two weeks they generated $1.4 million in sports bets! They&apos;ve also added a new dining experience, The Eatery by Fabio Viviani, with a signature style from one of TV&apos;s fan-favorite chefs. The Eatery includes four restaurants and offers something for every appetite from Italian delights at Mercato, gourmet burgers and sandwiches at The Classic, and sweet and savory desserts from Joe & Dough. Celebrate your casino wins with a craft beer or creative cocktail from the Penn Drafthouse. Eat, drink, play games, and watch sports at Dave & Buster’s in Camp Hill. From mouthwatering stacked burgers and delicious entrees to colorful cocktails and craft beer, you won’t be hungry, thirsty, or bored! Their in-store games take you back to your arcade days and unleash your competitive side against your family and friends. Combine food, drinks, and games with a combo deal to save big before you win big.